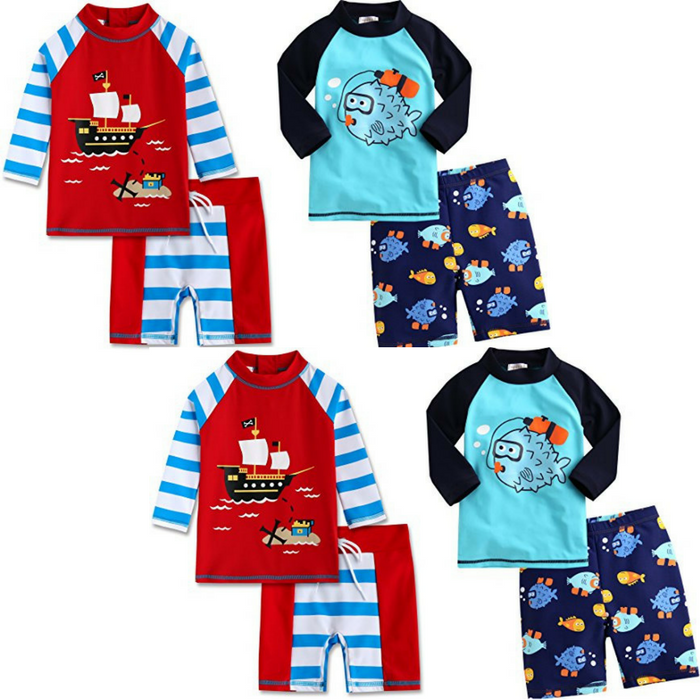 Boys Rashguard Swimsuits Just $19.99! Down From $50! You are here: Home / Great Deals / Amazon Deals / Boys Rashguard Swimsuits Just $19.99! Down From $50! Check out these Boys Rashguard Swimsuits which is on sale at Amazon for just $19.99 down from $50 PLUS FREE shipping with Amazon Prime or for orders $25 or more! Vaenait Baby’s swimwear is made with a high quality nylon/elastane materials. It offers reliable UV coverage in and out of the water. This rashguard swimsuit protect your babies from Sun. Vaenait Baby swimwear is good for active athlete as well as for the recreational swimmer. Each swimwear is enveloped in reusable zipper-locking plastic bag, good for GIFT. Perfect for your next summer vacation! Two-piece swim set with short-sleeve rashguard and swim trunk. Swim trunk has mesh lining with elastic waistband and drawstring closure for secure fit.